EU leaders will discuss on Friday (15 December) the future of the Economic and Monetary Union (EMU) - one of the main issues on their agenda to relaunch the Union after Brexit. The discussion, significantly, will be held in an 'inclusive format', that is at EU-27 level, rather than between the 19 current members of the eurozone. "Inclusivity can be useful to those who prepare to join the eurozone," an EU ambassador noted. 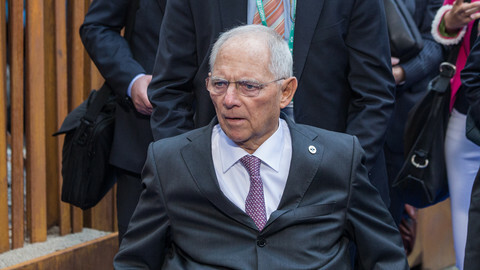 "A large majority of member states belongs to the eurozone, but there are interests that are also in the interests of non-eurozone countries," he said. Brexit will also reduce the differences in average indicators between the eurozone and the whole EU, for example in inflation. 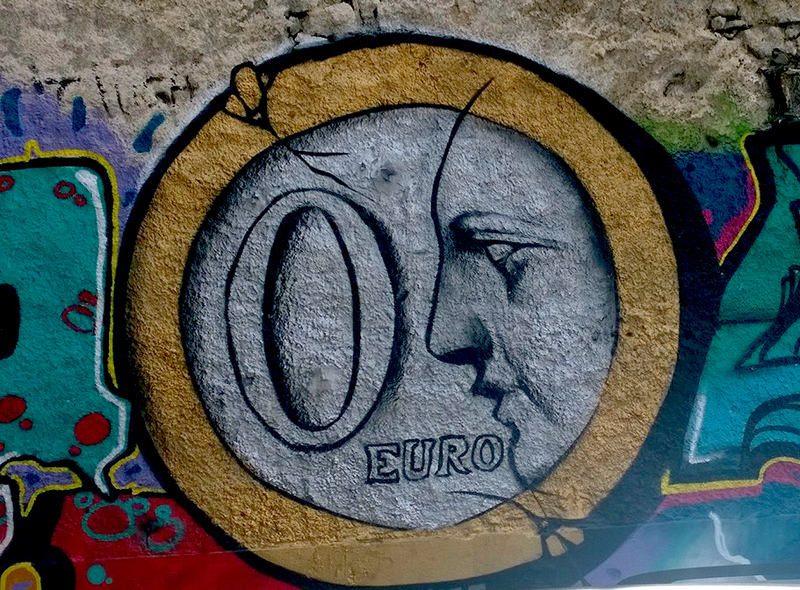 While the deepening and the strengthening of the eurozone seems necessary to consolidate the current recovery and weather future crisis, the proposals have raised questions about the organisation of the whole EU. "There is a growing feeling that the EU-27 will be dominated by the EU-19," Janis Emmanouilidis, from the European Policy Centre (EPC) think tank, told EUobserver. He pointed out that "with the UK leaving, and the discussions on a two-speed Europe and hard-cores, some countries have a feeling they might be pushed to the side." 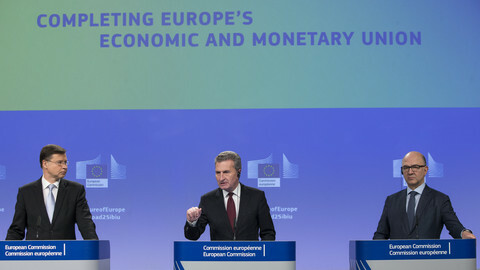 In early December, the European Commission proposed a series of measures to create a European Monetary Fund, complete the banking union and create an EU finance minister. The commission was "very careful" in its approach, Emmanouilidis said. "It is very aware of the potential risk and it tries to avoid it." 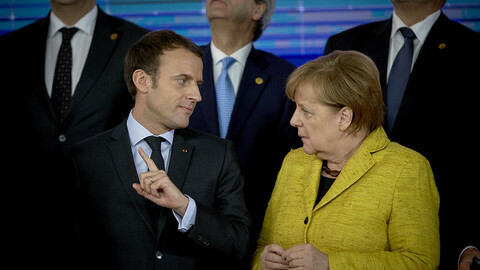 The EU executive did not propose a eurozone budget with an investment capacity, as proposed by French president Emmanuel Macron. The commission proposed instead to use part of the EU budget to help reforms in all member states, in particular non-eurozone countries, in order to increase the convergence between countries, whether they are part of the euro or not. "The proposals in this package address the needs and interests of both euro and non-euro member states, as interdependent parts of the Economic and Monetary Union," the commission insisted. "There are no internal and external dimensions of the eurozone. Whatever happens in the eurozone affects us economically and politically, a diplomat from a non-eurozone member state pointed out. "That's why it is so important to be in discussion." The diplomat noted that "Brexit is changing the balance of power and the proportion between the eurozone and others." 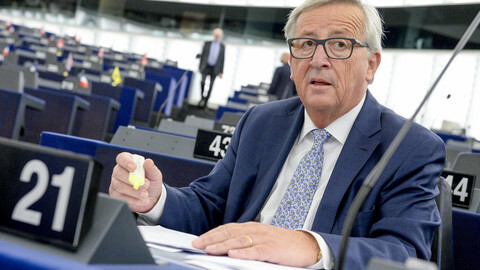 "That is a challenging reality," he added, explaining that "without the UK, if we think in terms of qualified majority [voting], it will be easier for eurozone countries to push legislative measures to reform the EU economic architecture. He said his country will have to adapt how it operates "at tactical and strategic levels", and "enter into a closer relation with countries across the EU." A top diplomat from an eurozone country stressed however that "there has to be a specific responsibility for the 19." "The decisions that have to be taken concerns those who are in the eurozone. There is a need to articulate the two dimensions," he added. Friday's discussion will cover the commission's proposals, as well as other ideas put forward by Macron, EU finance ministers and other actors. "The clear focus is to ask questions on whether priority should be given to areas where there is broad convergence," said a senior EU official. Tusk added that divergences remained on other issues, such as simplifying and strengthening fiscal rules, setting up a fiscal capacity, and creating an economy and finance minister. "The debate can be quite direct, but that's good," the EU ambassador said. "The discussion will turn around the balance between risk-reduction and risk-sharing, and the possible ensuing steps," he said. The debate will pit against each other what the New Pact for Europe - a project about the future of the EU that involves several think tankS including the EPC - described in a recent report the 'responsibility and competitiveness' camp, and the 'solidarity and caring' camp. The first, which insists on the stricter rules to reduce risks, is led by Germany, the Netherlands, Austria and other countries like Slovakia and Estonia. The second group is represented by France, Italy or Portugal. "If there is no balance between the two camps, it's difficult to make progress [towards completing the EMU]", EPC's Emmanouilidis said. He pointed out that the "turning point will be a Franco-German proposal" that would try to strike a balance between the two camps. But with no German government currently in sight, the proposal, and therefore a breakthrough at EU level, will not happen before next spring. In the meantime, Emmanouilidis said, "the discussion is not going to lead us very far." On the EU 'Leaders' Agenda' - the working calendar established by Tusk until spring 2019 - the first decisions on the future of the eurozone are due next June. This article was produced in coopration with the European Data Journalism Network (EDJNet), a new platform for data-driven news on European affairs brought to you in up to 12 languages by a consortium of media and data journalists from all over Europe, which includes EUobserver.